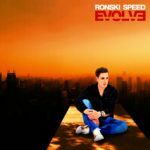 We talked with Ronski Speed about his new artist album “Evolve”, his family and much more! Enjoy reading! TranceAttack: Hey Ronny, great to have you back again for some words with us after already three years. Where do we catch you right now? Ronski: Hey, thanks for having me, I’m in Qatar from my way back from Thailand to Europe. TranceAttack: Congrats for your Album release with “Evolve”, which is already your third artist album! Tell us please, what can the listener expect? 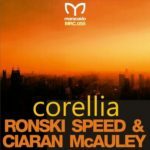 Ronski: I would say it is pure old school trance with nice melodies vocals and it covers all styles from progressive, ambient till uplifting and vocals. TranceAttack: What’s the idea behind the album title “Evolve”? Ronski: The way I personally evolved during the last years especially in my musical ways. 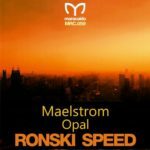 So many developments come and go, the typical Ronski Speed Trance style stayed. TranceAttack: With Ciaran McAuley, Alan Morris, Syntrobic and Amir Hussain you have an interesting selection of collaborators. How did it come to these track creations? Ronski: I was searching for some of my favourite producers of the moment. People who are close to the sound I like and I want to work together. So basically I started with some ideas and got in contact with them and we developed the finally track together. TranceAttack: Is there someone you would have wanted to see also this list for the album? Is there someone you would love to work together in the studio? Ronski: Actually there are always some names on my list but I’m more than happy with the collaborators I was able to work with. 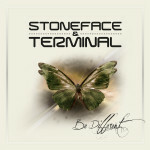 TranceAttack: Next to your album release there was also another big highlight for you in the last months. You became father! Congrats for that! How were your first weeks? Ronski: Thanks, yes now my life turns upside down and the Baby takes a lot of time and attention. So I was happy to finish my album before. So far I can say I can’t be any happier…. TranceAttack: Looking back to 2018… Can you give us a little resume of this year? Ronski: With all this new things in my life like my daughter and my baby the album I can say this was one of the overall game changing years in my life. I hope i can find the time to relax and create music like before. It was super exciting 2018. TranceAttack: Already started your career back in 1997, you now in the business for more than 20 years. What were your highlights in this long time? 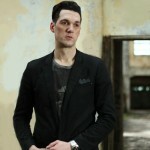 Ronski: Oh there are so many but of course to play in some cool places like Love Parade, Mayday and Nature One. But absolutely highlights are the 80 countries that I could visit in the last 20 years to play for people. TranceAttack: How the business did change in this time? Ronski: It is not so important to being played by DJs like it was before. When I started a play by Tiesto, PvD and Armin was a sure shot everywhere. What references do we have today? Deejays with weekly radio shows playing so much stuff so i became hard to shine out. It is also very hard to see real new shining talents in the last years. Remember Andy Moor, Gareth Emery or Arty when they came up everybody loved their new sound and production and remixes. They pushed trance to a new level. That is what I’m missing. TranceAttack: You are an institution in the German Trance scene. Beside you there are a lot of deserved German Producers and Deejays. But in the same time it seems that Trance is bigger anywhere else in world than in Germany. Do you feel the same? 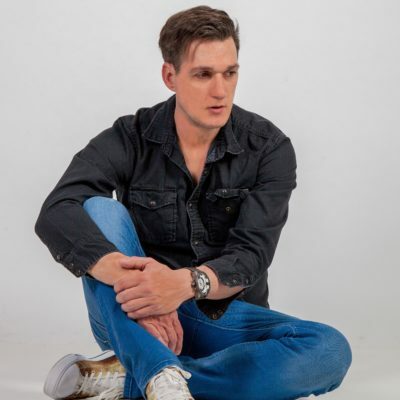 Ronski: Of course Trance was never big in Germany and it does not seem to change very soon. Maybe if there would move some Rappers to Trance, ha ha. TranceAttack: Checking your Instagram account, it seems you really like food. Is it just a product of our time or do you really like eating? What is your favourite food? Which country has the best cuisine? Ronski: Of course i like food like Spare ribs and chicken wings. Everywhere i go i try to find the best places for that. So if you ask me yes American food is the best. Do i want to eat it every day, no… this would be too much for me. TranceAttack: What are your plans for the next months? 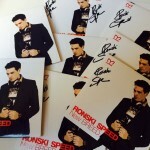 Ronski: Releasing step by step the tracks from my album some with full mixes and remixes. I’ve also signed a new tune to Armada Music and also Raz Nitzan Music. So 2019 looks bright.